Victor, NY — July 14, 2016— New Scale Technologies, Inc. has received its sixteenth and seventeenth U.S. patents for miniature piezoelectric motor system innovations. The latest patents cover a new rotary piezoelectric motor that achieves very high rotational speed with significant torque in a very small diameter, and a compact wide-angle optical beam steering assembly that has been commercialized in the M3-RS-U Rotary Smart Stages and beam steering developer’s kits. US Patent 9,362,851, Rotary Motor Systems and Methods Thereof, issued June 7, 2016 to inventors Qin Xu, Daniele Piazza, Matt Wrona and David Henderson. This new rotary piezoelectric motor achieves very high rotational speed with significant torque in a very small diameter. The operating principal is a variation on New Scale’s miniature SQUIGGLE® motor. 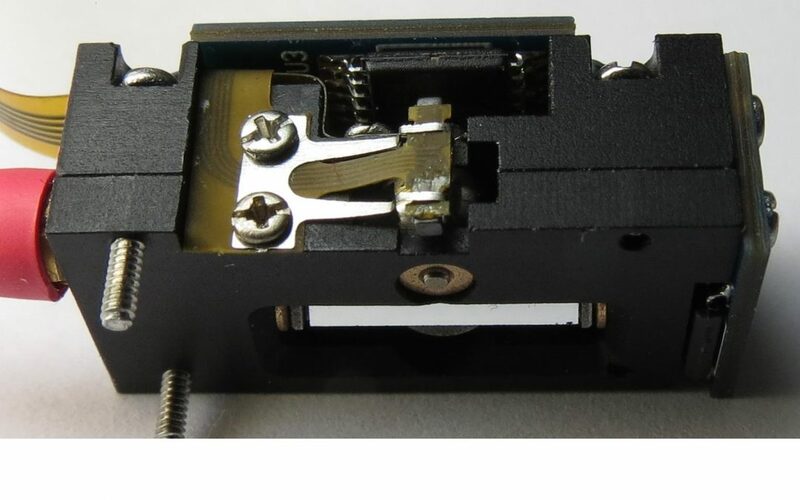 New Scale has demonstrated the motor design in a diameter less than 4 mm with a rotational speed greater than 12,000 RPM while requiring only 3.3 volts. Targeted applications include systems that require no magnetic fields, very small diameter and volume, and direct battery-powered operation. Application examples include eccentric rotating mass motors that generate human detectable vibrations, and endoscopic medical instruments. Because piezoelectric motors are used, no ferromagnetic materials are required in construction and no magnetic fields are generated during operation. Therefore the device can be integrated into systems containing radios, antennas and compasses without interfering with their operation. It can also operate safely in MRI imaging systems. The technology is available for use in custom motion system development programs from New Scale. US Patent 9,377,619, Compact Wide-Angle Optical Beam Steering Assemblies, issued June 28, 2016 to inventors Matt Wrona and David Henderson. This tiny “galvo-like” beam steering system can direct a small collimated laser beam through large angles of azimuth and elevation (Өx and Өy). Targeted applications include systems that require precise point-to-point beam steering in one tenth the volume of a traditional galvo with dynamic scanning up to 100 Hz. Examples include medical instruments, 3D printing, LIDAR, integration with digital cameras, remote sensing, tremor stabilization, and telecom instruments. This invention has been commercialized in the M3-RS-U Rotary Smart Stages and beam steering developer’s kits, available now from New Scale Technologies.